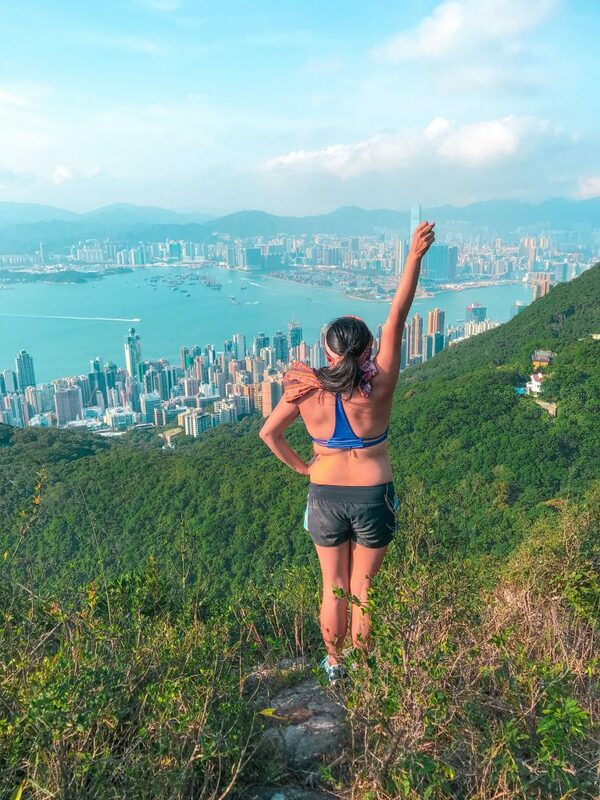 One of the reasons I enjoy going back to Hong Kong apart from the food is the hiking experience I’m sure most travelers have loved as well. 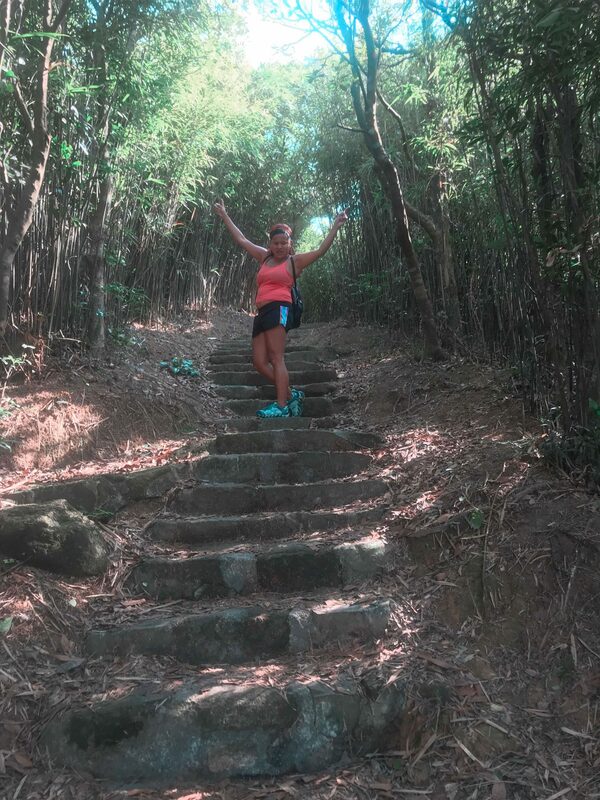 The last time we were there, we hiked Lion Rock, Tai-O, Tap Mun. 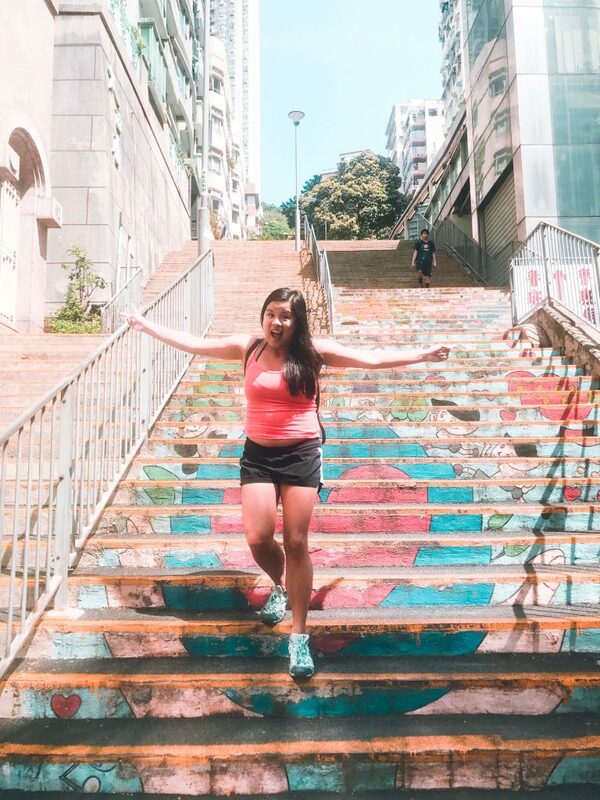 This year, my trip to Hong Kong was quite spontaneous. 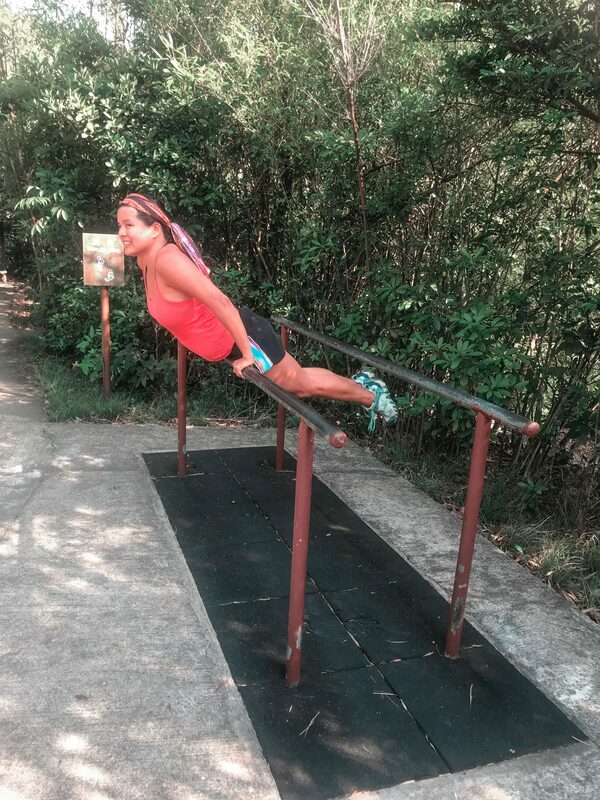 My friend Jo from India said she was going and asked if I wanted to join. 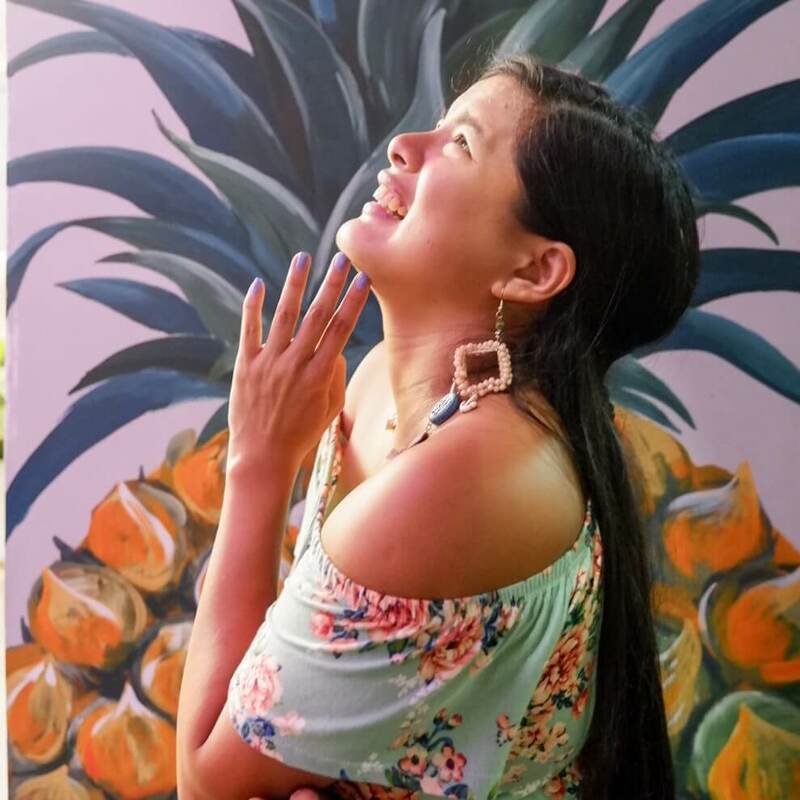 My good friend Kay also just finished her thesis and had time to celebrate so I thought to myself, why not? 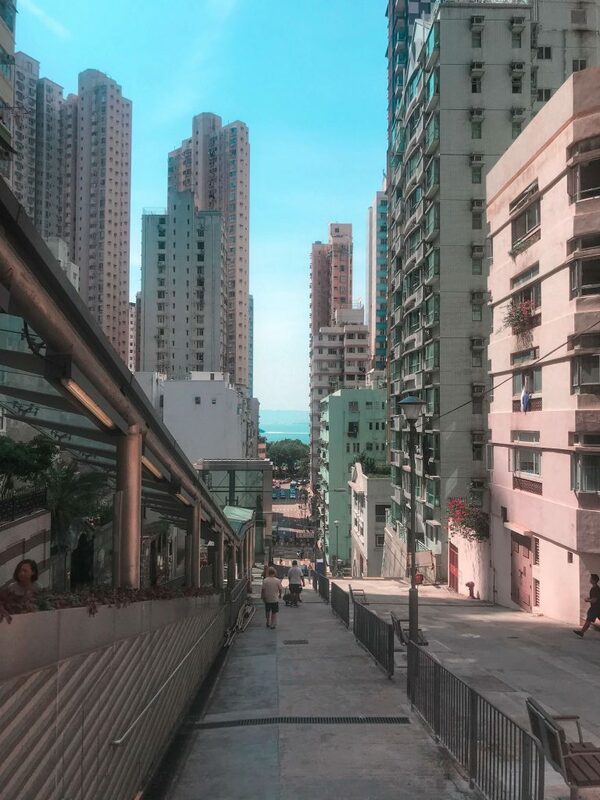 I hopped on a plane and went to Hong Kong. Our first few days in Hong Kong were greeted with rain. 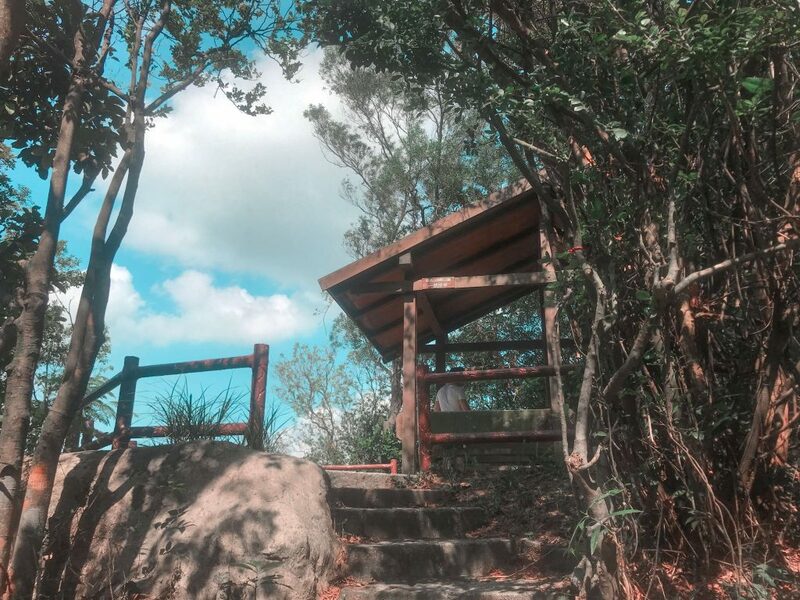 We were supposed to hike Dragon’s Back but then it was storming like anything that day so we played Lost Hong Kong instead – an Escape Room game. 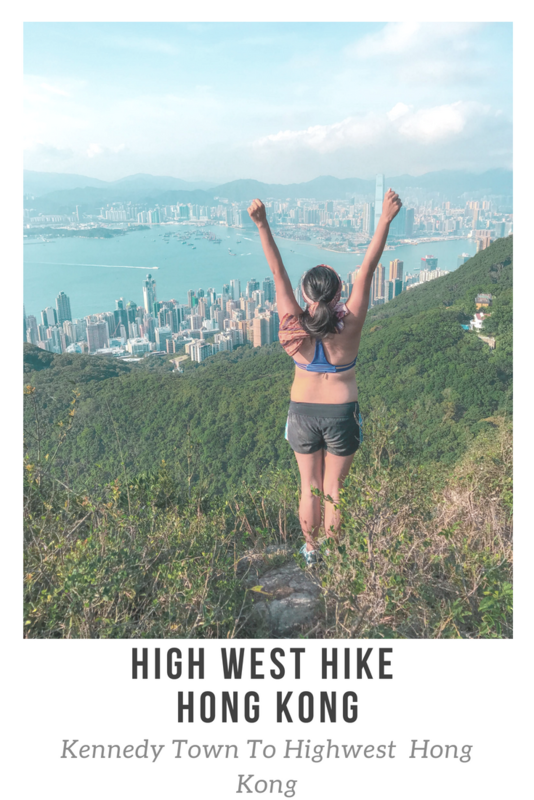 The first sunny day that we had was also Jo’s last day in Hong Kong and since she wanted to go on a short hike, we decided to go to High West Hong Kong. 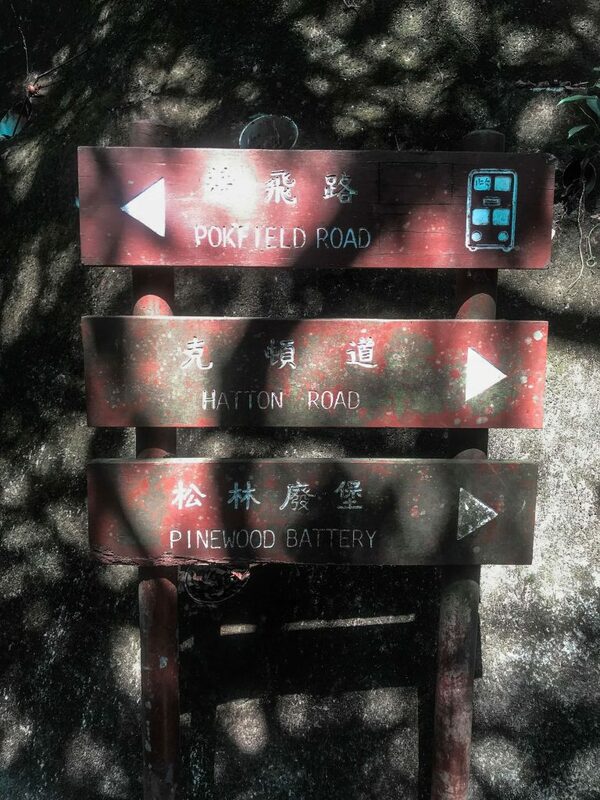 We picked the route that people usually take to start the hike – Kennedy Town. Along the way, we also met people who took the cable car to the peak and walked down. That’s actually a smart idea. Next time, perhaps I would try that. What should you bring to High West hike? First things first – water. 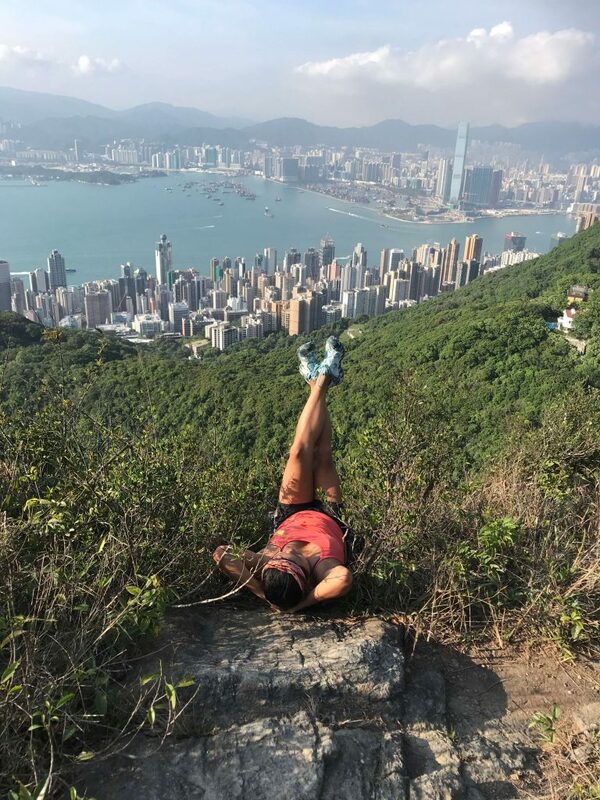 Just a heads up, you’ll be taking at least 2,100 stairs before you reach the peak and take in the view of the city all to yourself. My friend Jo also brought Kit Kat just to keep us going, At some point, this became our motivation. I brought Snickers with me too because you know what they say, just grab a snicker. I do love hiking, but I haven’t been on a hike for quite some time. This adventure to reach the peak of High West says a lot that I really need to get back on track and keep a well physique. 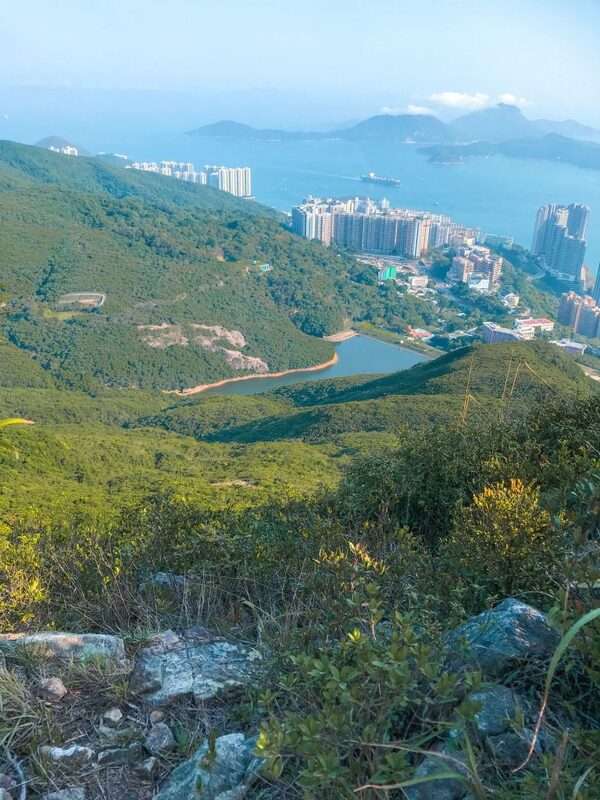 Where is the starting point of the Hike to High West Hong Kong? Take the MTR to Kennedy Town (end of Blue Line) and Take Exit C towards Rock Street. At the end of Rock Street where it meets Sands St. you will see a colored staircase. 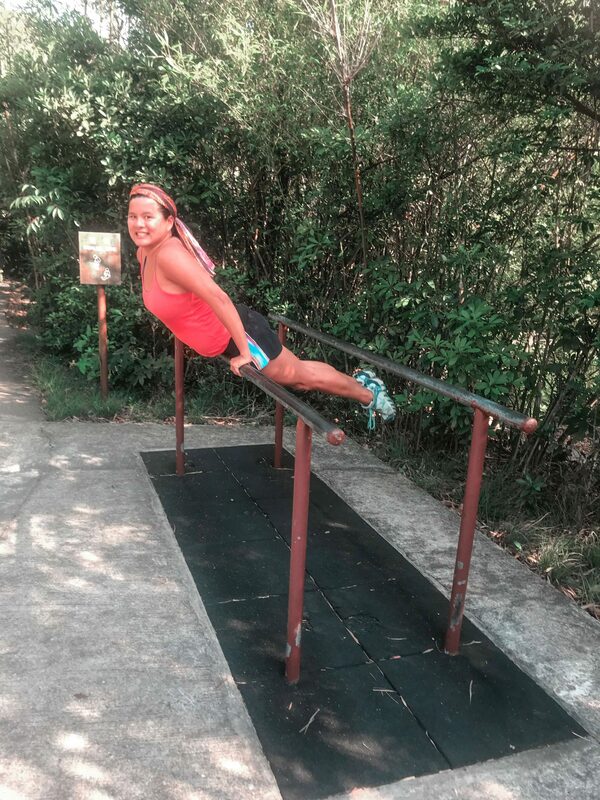 This, my friend, is where the hiking begins. You can also use this pin to see where the location of the jump off is. 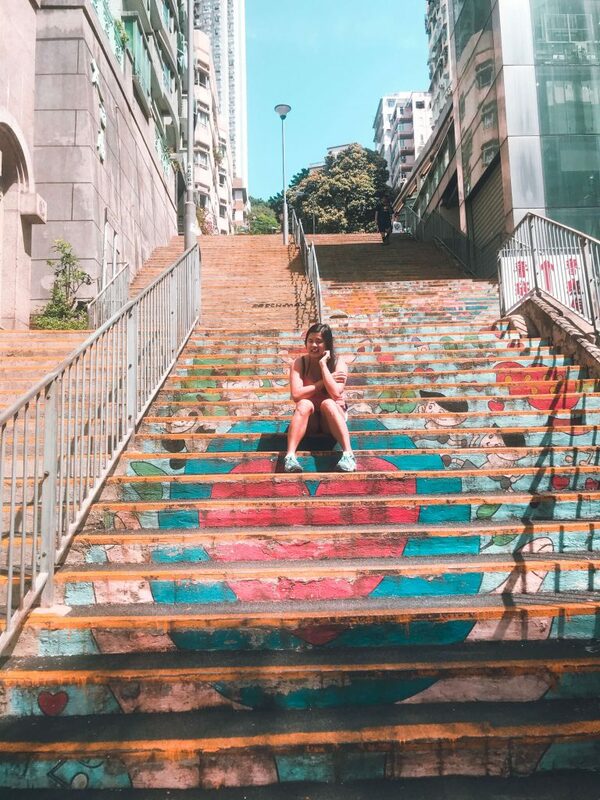 From Kennedy Town, you’ll reach the Lo Pan Temple where its advice that you pay respect for Lo Pan is the Chinese Saint for builders and contractors. 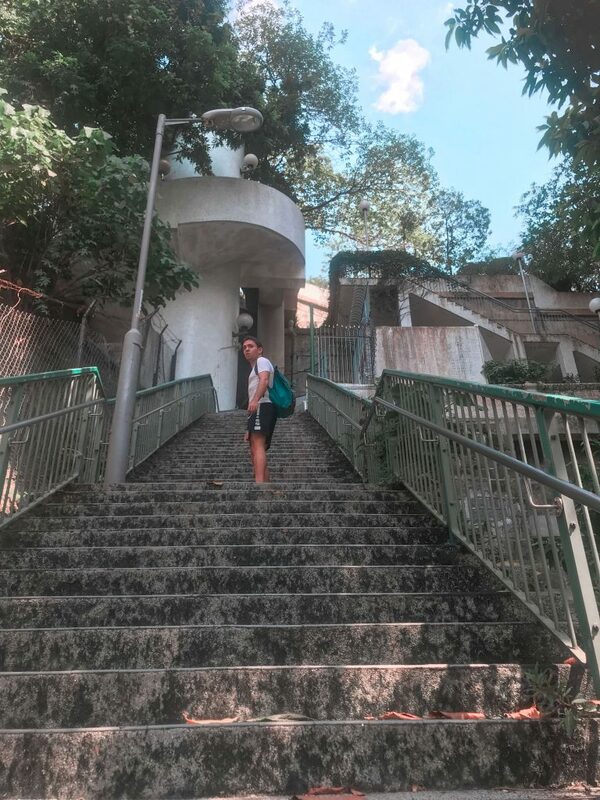 The stairs will be snaking around this temple before you reach the Pok Fu Lam Road. 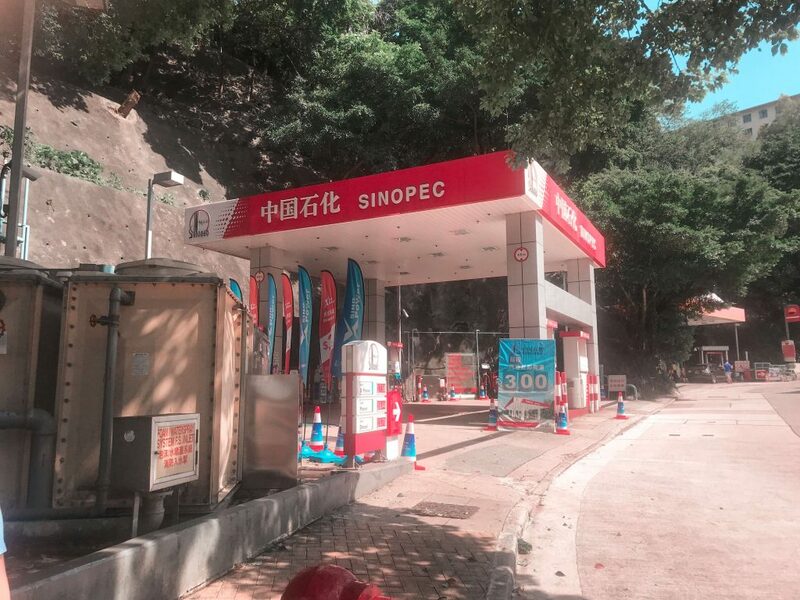 From Pok Fu Lam Road to Sinopec, all you have to do is make a right to the subway and cross under to the opposite side of the road until you reach the Sinopec gas station. My friends decided to cross the road but a local told us that there was an accident a week before so I opted to go for the underground since it was a short detour anyway. 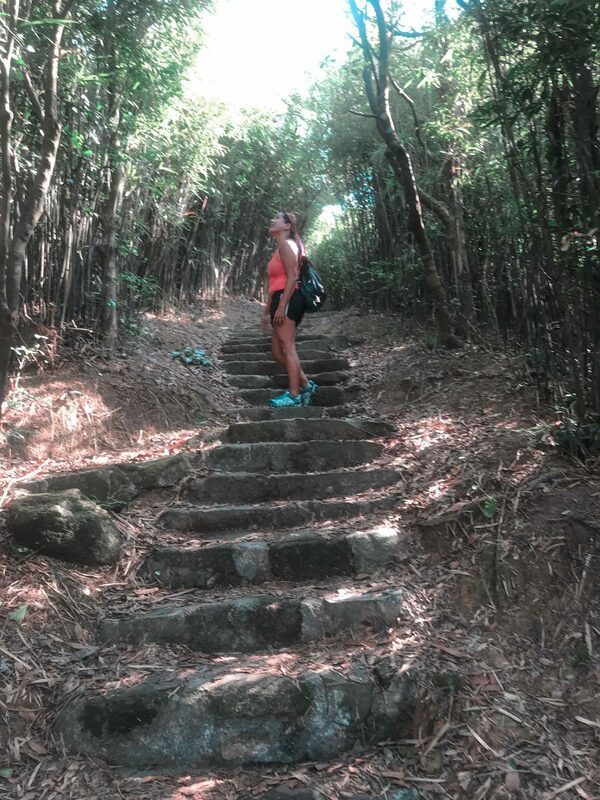 From there, you’ll be climbing 638 stairs to the Paved Road. 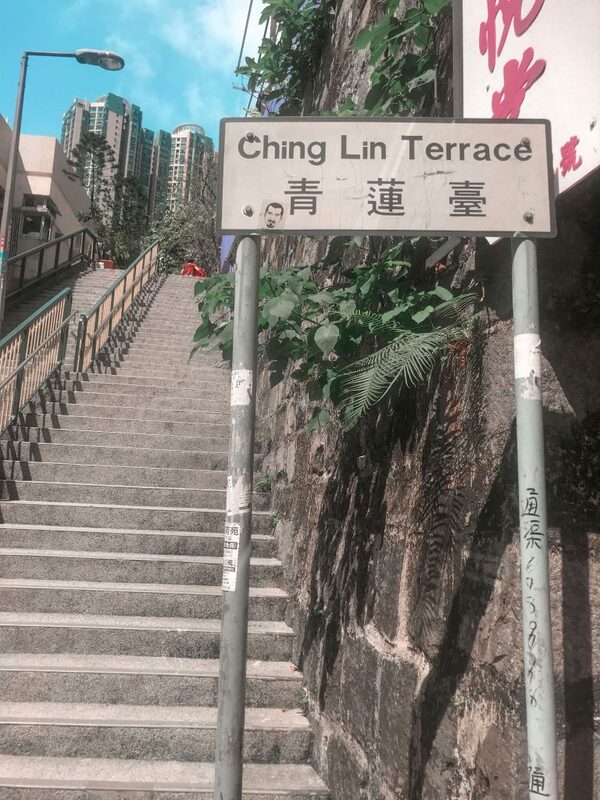 Well technically, it’s steps. Jorge, on the other hand preferred a ramp so here’s a photo of Jo on the steps and Jorge on the ramp. 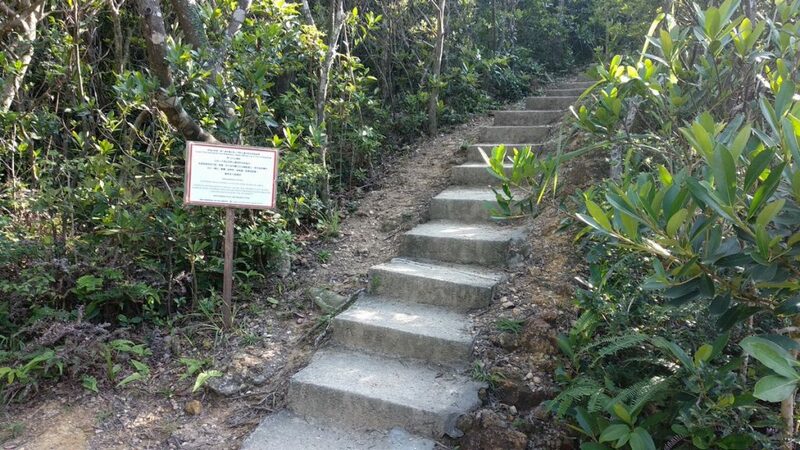 At some point, you may take a rest and prep yourself for another set of stairs for there’ll be a resting area waiting for you. 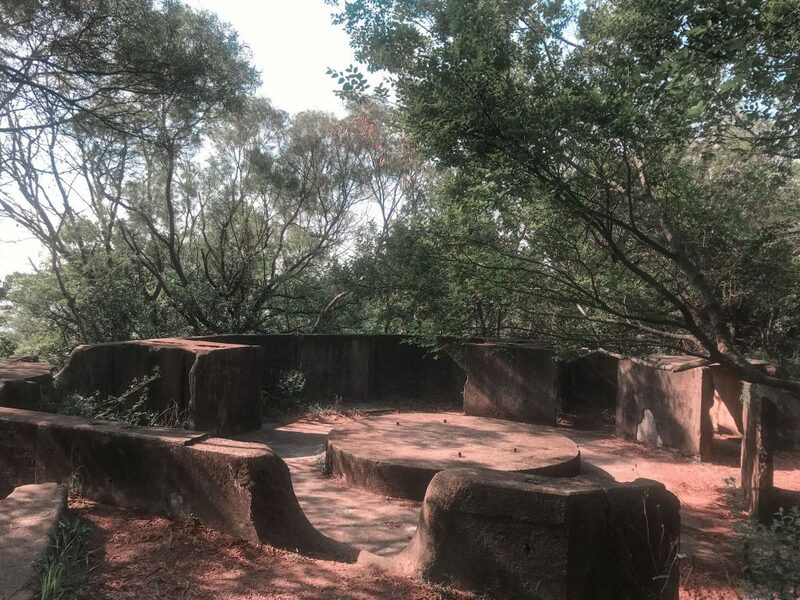 I guess this hike or route is quite popular because there are well designated rest areas, benches and viewpoints and the path is properly marked. 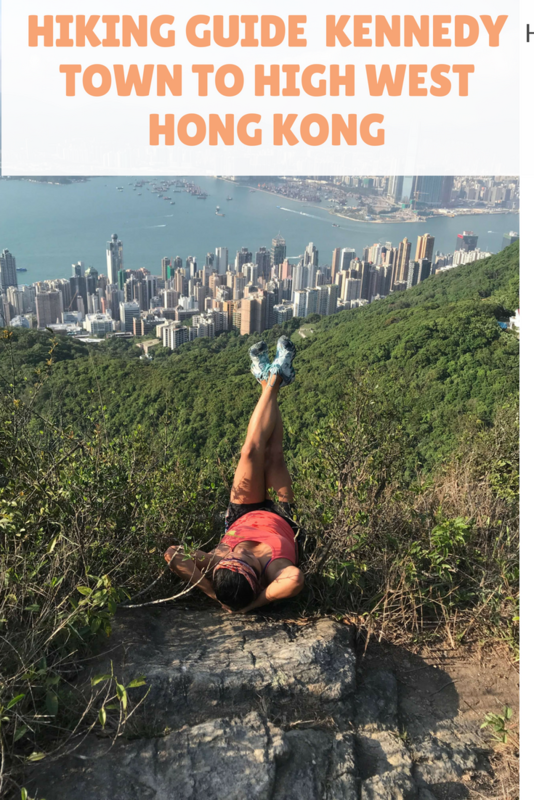 There’s even some rest spots with the rock foot massage which I’ve tried and recommend if you’re going to give this hike a try. After conditioning yourself, you may head to the right again and then left until you see the paved road. 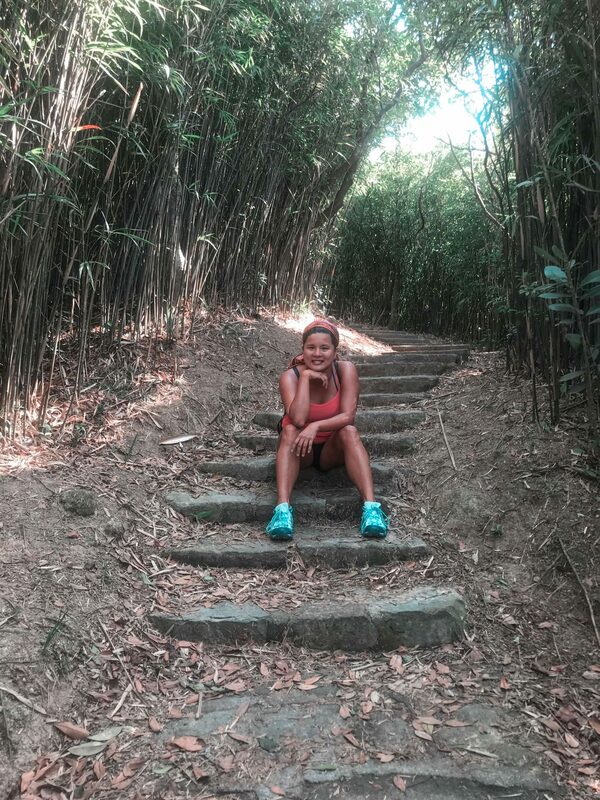 Following the trail, you may take time to rest and just indulge in the beauty of nature until you reach the bamboo forest. What makes this forest so worth it is that the calming and refreshing sound coming from these trees that will definitely take all the soreness of your feet away (mentally). 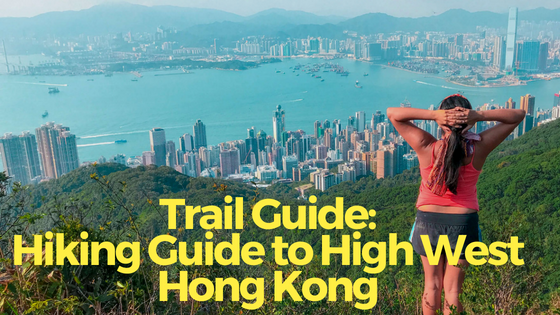 It’s definite that most hikers and even those who’ll do it just so to make their Hong Kong experience different will definitely not get tired following the trail towards the peak because you’ll be full of wonderful sceneries. When you see this go up the steps again. Go up take the steps. Then it will lead to a pave road, that only means you’ve made it. 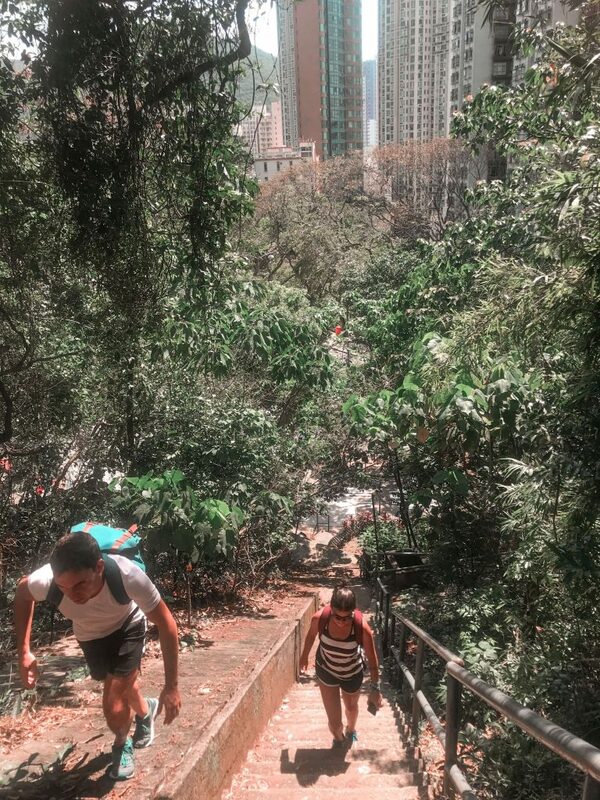 I remember Jorge saying he didn’t like stairs. The pave road is a bit uphill so we asked him again to consider what type of trail he wished. 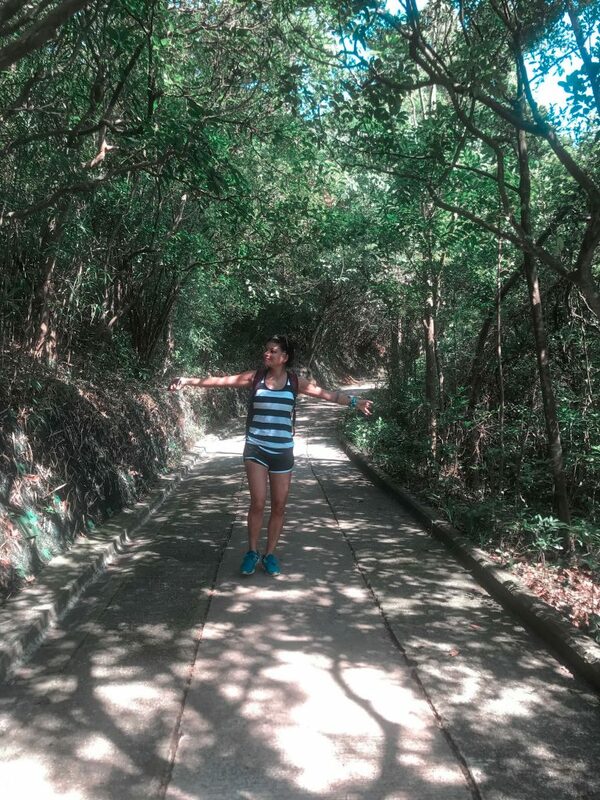 Despite being tired, this one creates a tunnel of trees as a pathway which makes it relaxing. 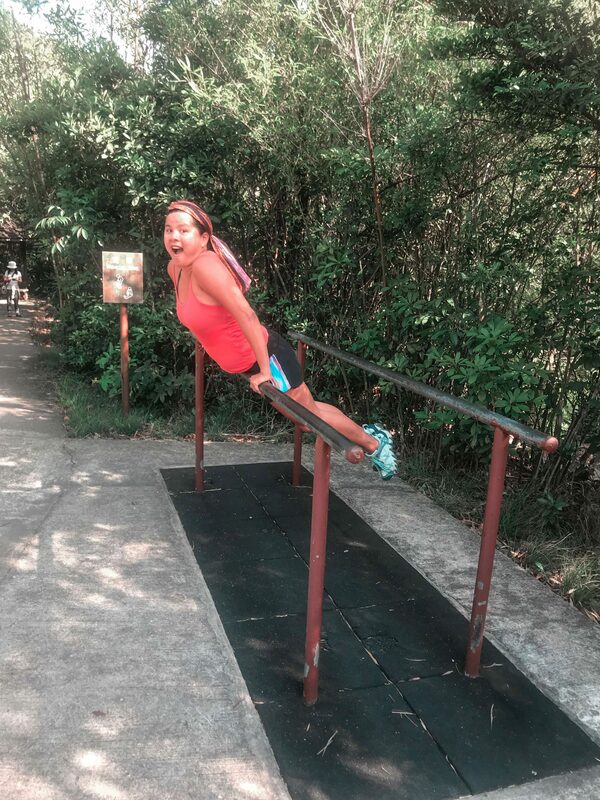 At this point, my friend Jo said, ” If we make it up there, I will give you Kit Kat.” That was too funny but for some reason it helped us pick up the pace. When you reach the fork in the road, turn left or head to the direction of the peak. 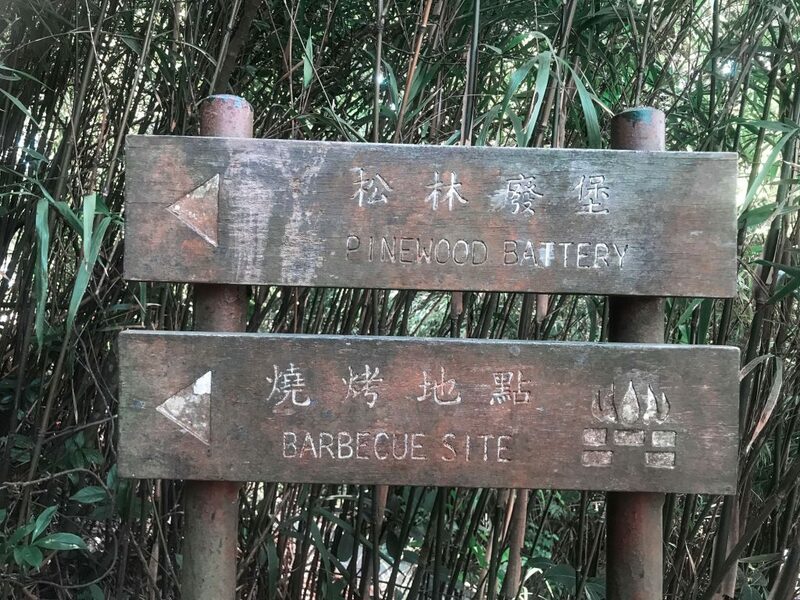 Follow the “BBQ Site” and follow the path which will lead you the picnic sites and Pinewood. 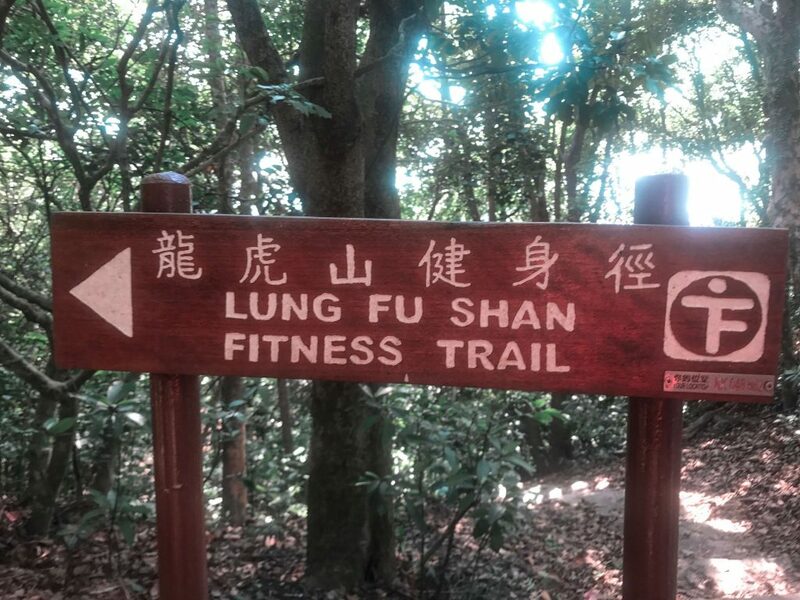 From this path, you may follow the ‘Lung Fu Shan Fitness’ trail where you’ll be then lead to the playground. 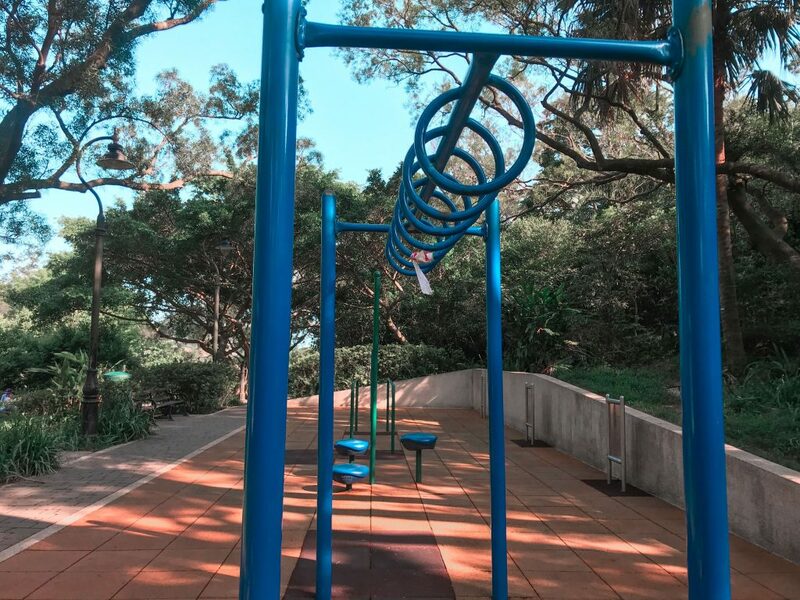 Reaching the playground means you’re getting closer to the top of the High West. Take the steps up the playground until you see small steps going down, follow that path. You will reach an open area and then a step of stairs marked with a white sign. And after almost 2,100 steps – you’re at the peak of High West. 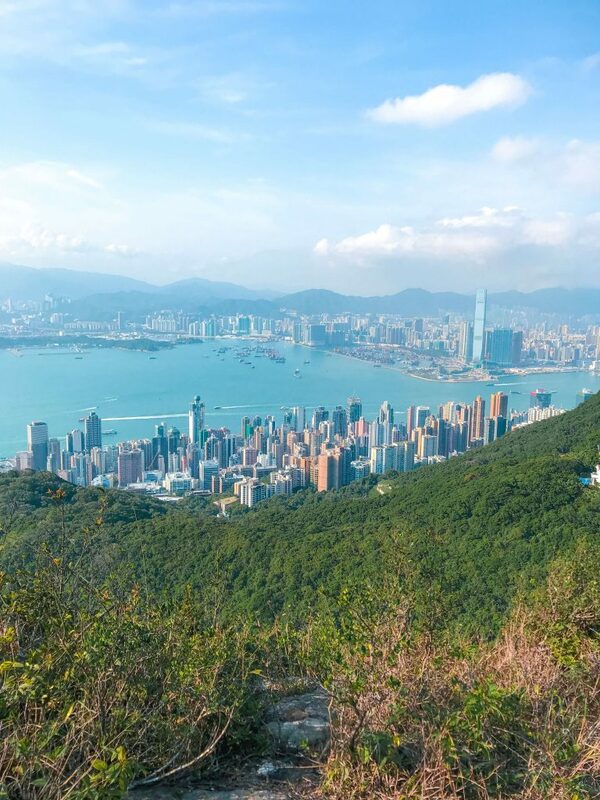 You may even forget to take pictures the first time you reach the peak. 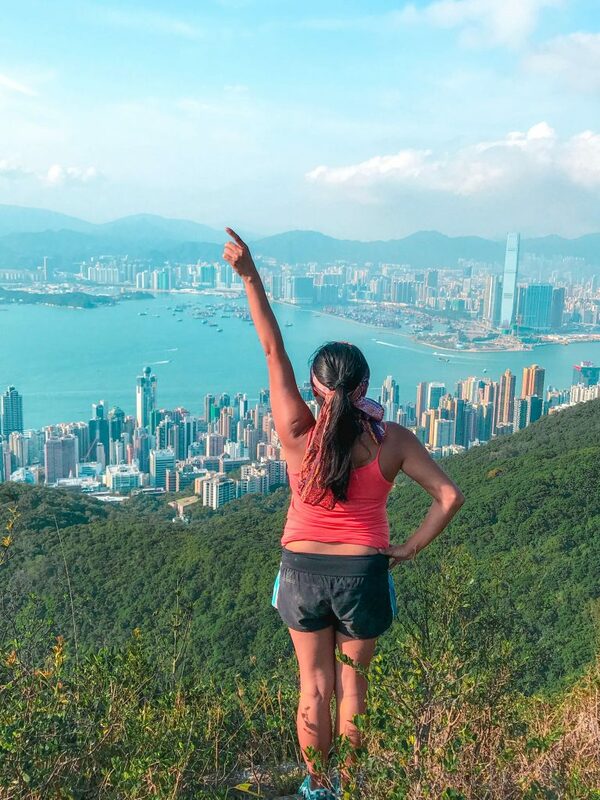 There’s something accomplishing when you reach the top of High West with the wind blowing in your face and you can feel the breeze whispering in your ear and hugging you with such achievement of overlooking at the city with a sense of pride. When we got to the top, it was worth it. It answered our need to hike, despite our lack of practice but this was a good hike to get back on track. On our way back, we circled back the same trail to the playground but we took the morning trail going down. We were down in 20-30 minutes and it was a lot easier. 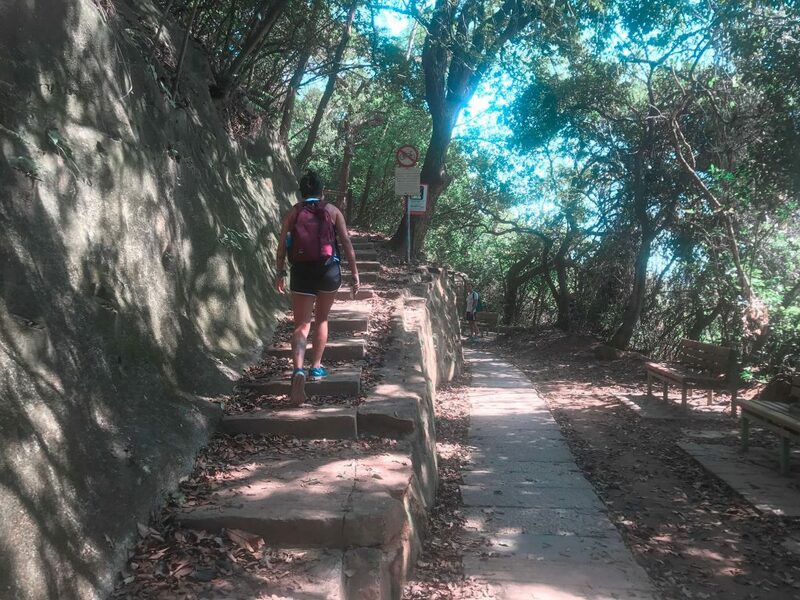 In this path you will see a lot of people strolling and jogging, it’s one of the “easy” hikes in Hong Kong. At the bottom, we took bus No. 3 to Central station and from there we headed back to our hotel. High West Hong Kong was a great hike for all of us We were exhausted, yes, but we loved the views and the exercise.